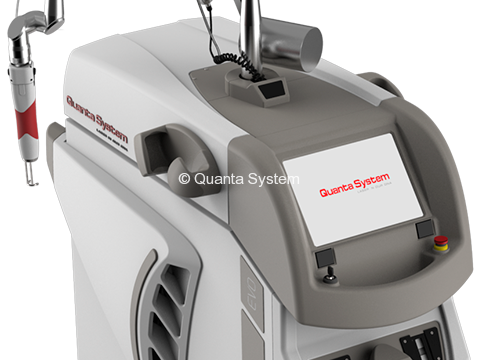 Q-Plus C – MT Option is the unique Q-Switched device with single or combined emissions through the proprietary Mixed TechnologyTM. 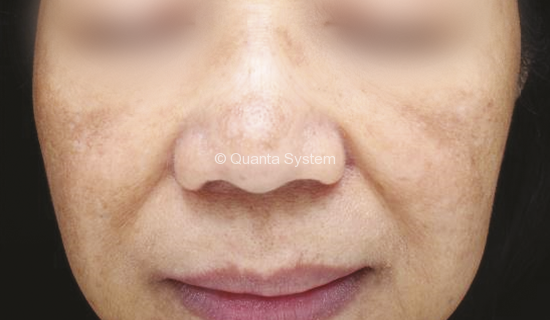 Q-Plus C can mix two different wavelengths to overtake the limits of the single emission. 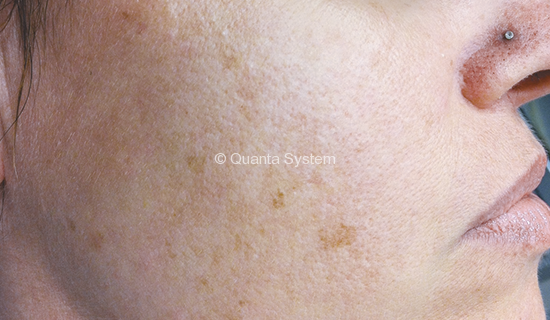 For example it can perform efficient purpura-free pigmentation treatments or treat areas with coloured tattoos in a single pass. 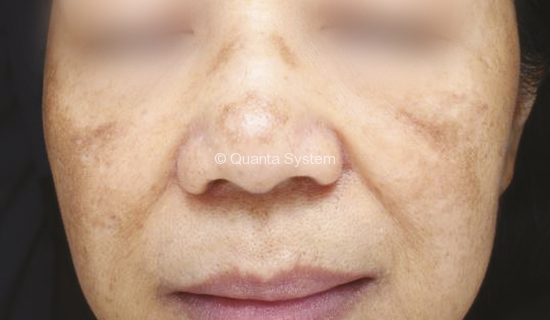 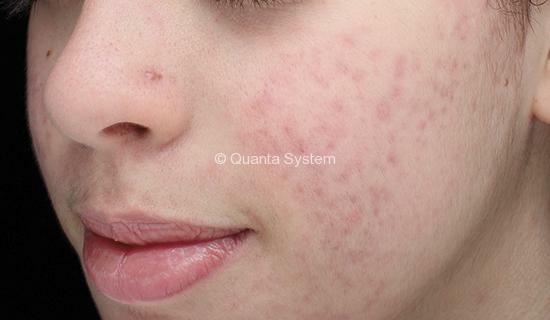 The powerful Q-switched sources of Q-Plus can generate a photoacoustic effect targeted at inks and pigmentations leaving the surrounding skin preserved. 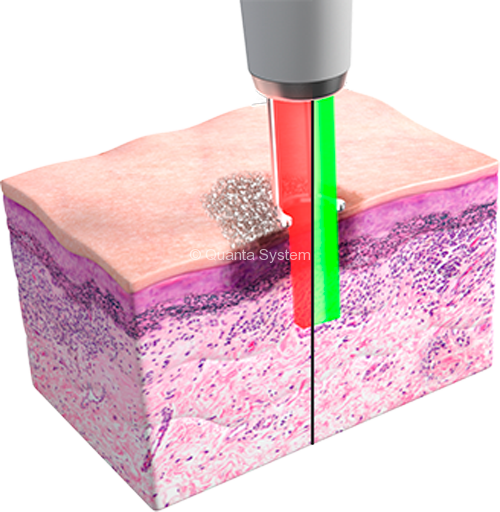 These laser systems are able to fragment the target pigment in small that will be removed by the skin through the phagocytosis process. 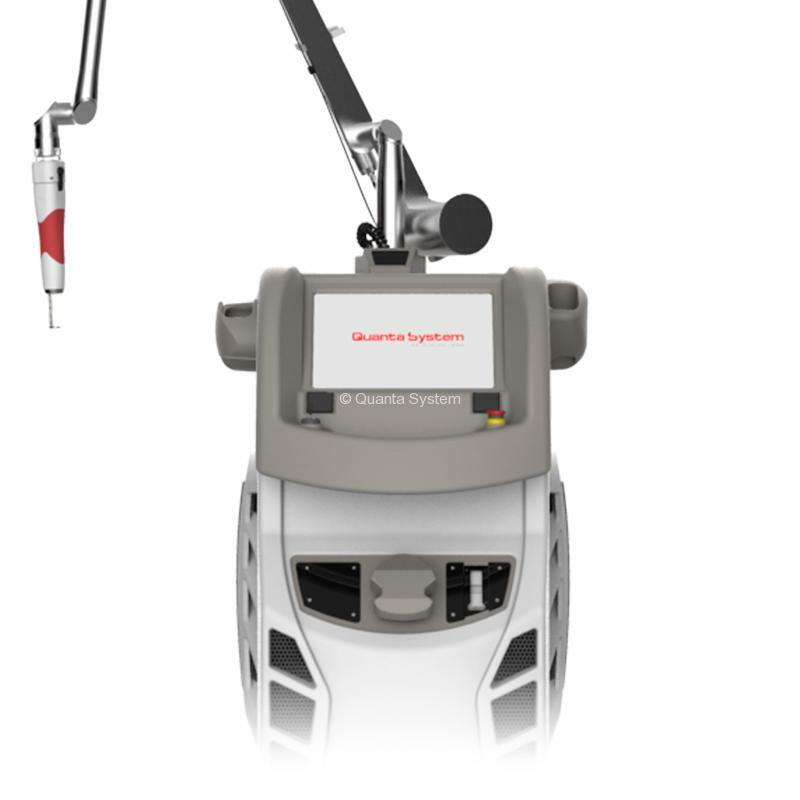 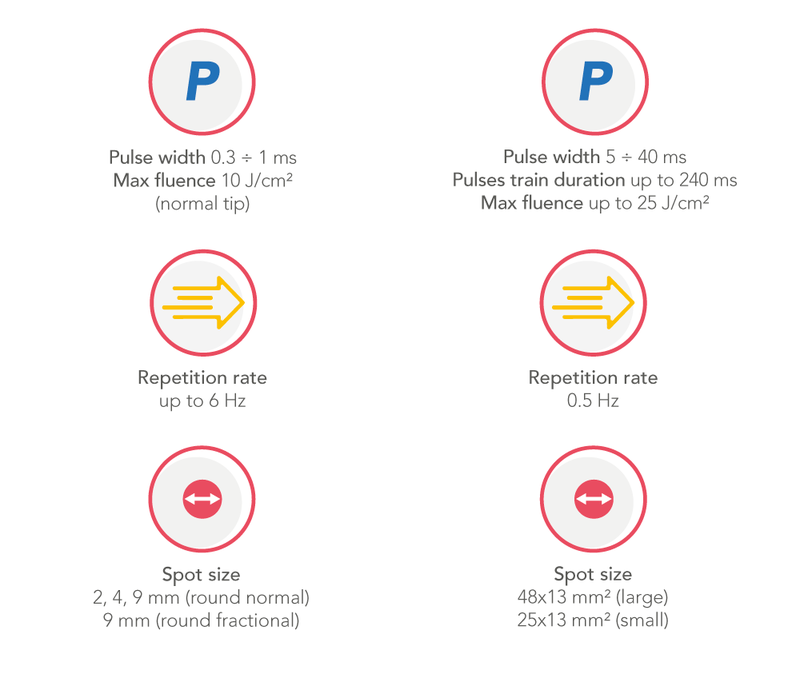 The Q-Plus C – MT Option model in the EVO family is the only Q-Switched laser on the market with the capability to mix, in a single emission, two different wavelengths. 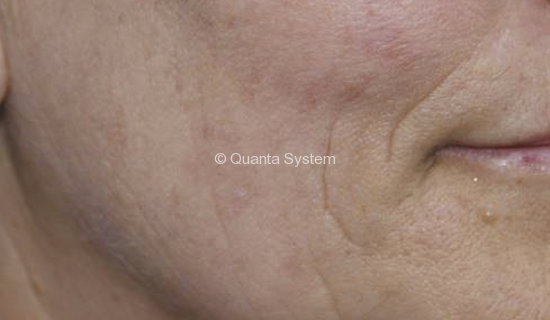 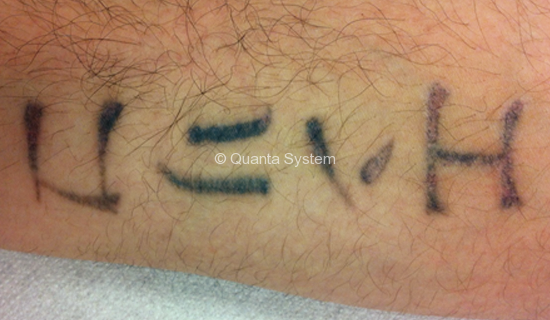 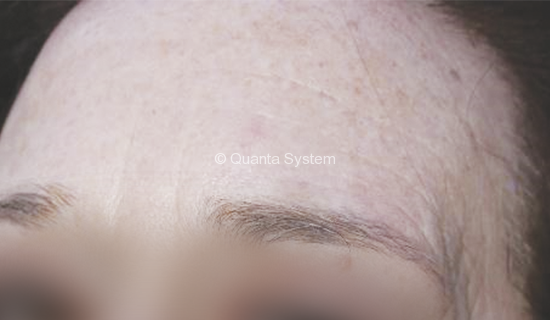 The Mixed TechnologyTM of Q-Plus C can be used for the treatment of particular tattoo’s color shades in a single pass to reduce treatment time and limiting the effects on blood vessels as well as reducing post-treatment downtime and skin inflammation as a result. 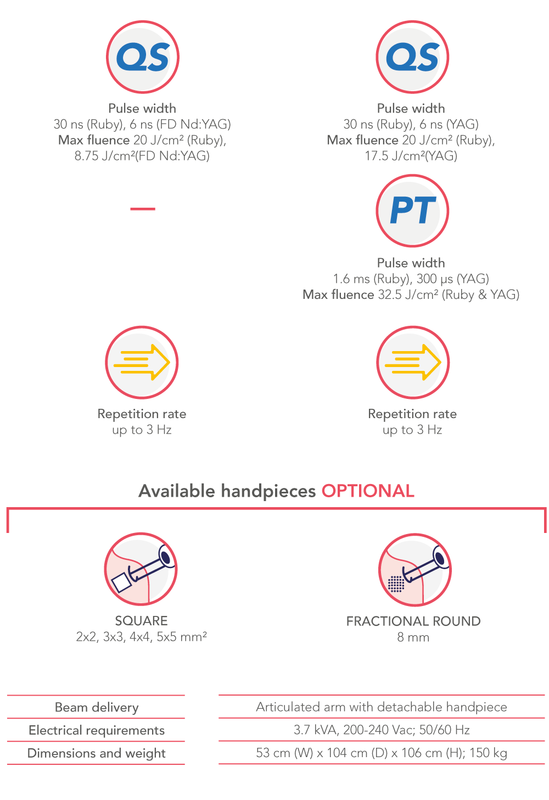 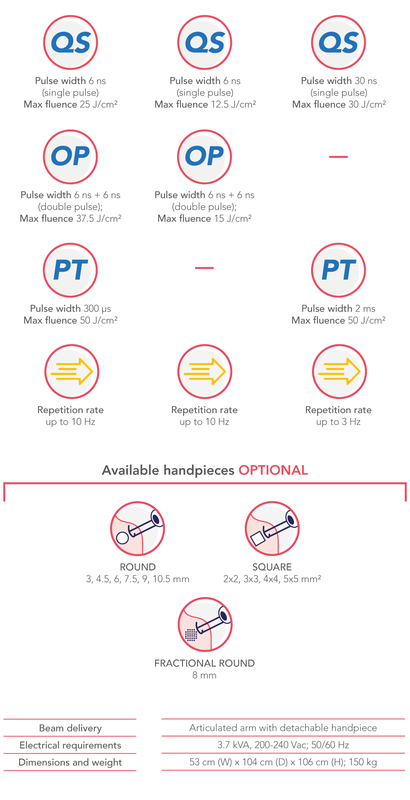 The OptiBeam II handpieces has been developed to increase the versatility of use at its maximum grade. 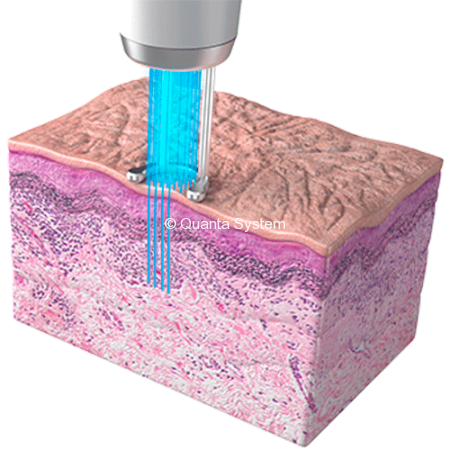 This technology allows to switch from different spot shapes and sizes in really short time maintaining the maximum safety and reliability. 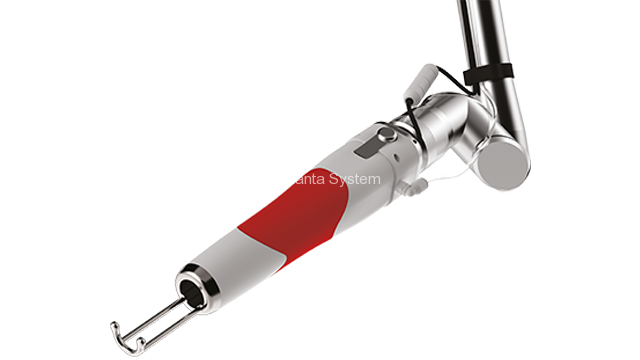 It is for square, round or fractionated spots through State of the Art optical layouts which utilize also special optics based on MLA (Micro Lens Array) or DOE (Diffractive Optical Elements) able to generates the spot shapes with the best energy distribution in the industry. 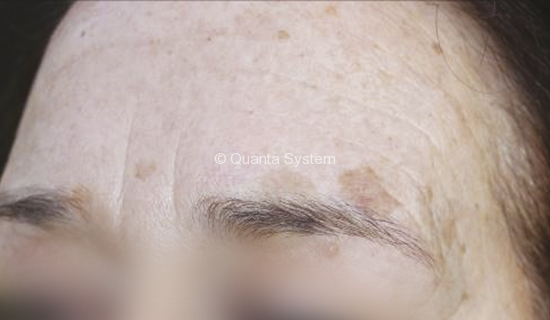 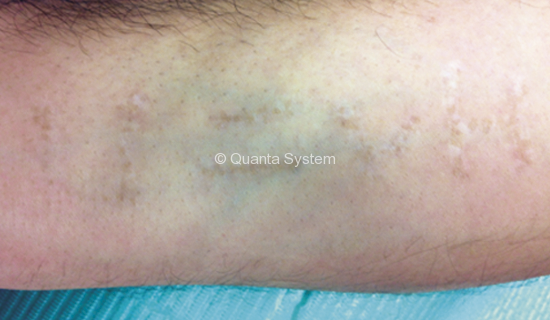 Flat-top Square spot makes makes the work easy with a precise overlap of pulses to treat tattoos more homogeneously in short time. 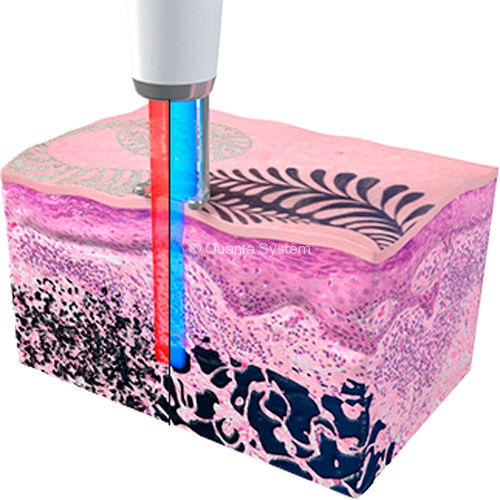 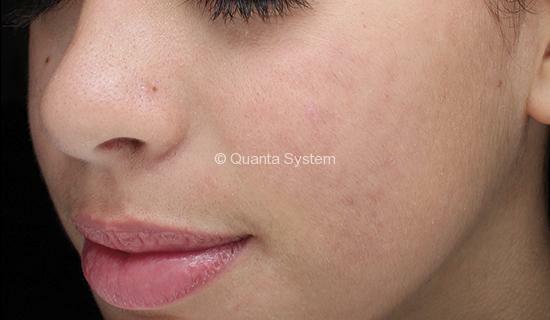 The Round spots are generated combining a perfect Flat-top energy distribution and a long depth of field to make them easy to be used in the pigmented lesions treatments even when the perfect contact with the skin is not possible, overtaking the need of collimated handpieces. 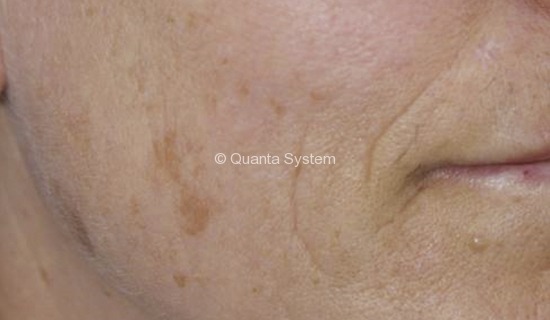 The Fractional handpiece is perfect for skin resurfacing and rejuvenation with very short recovery time and remarkable safety even on or dark skin types. 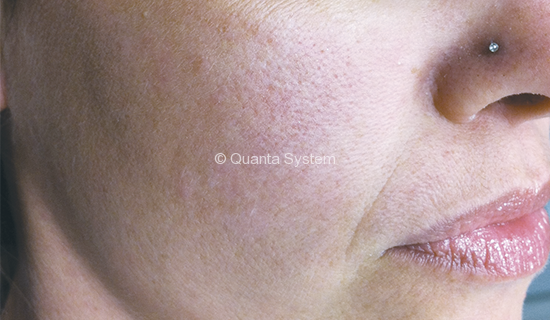 The TWAIN options are based on IPL or laser handpieces can also be installed at the clinic’s site any time. 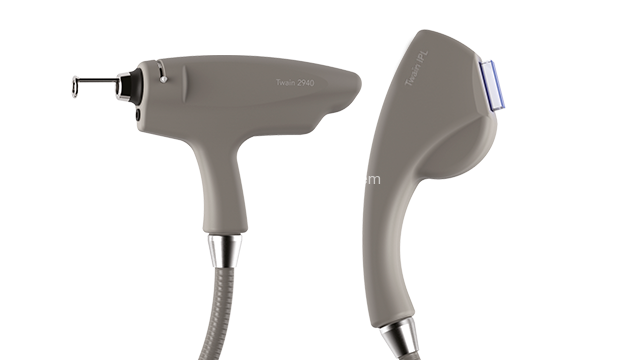 Twain 2940 is an Er:YAG laser handpiece ideal for skin ablations with confined thermal diffusion for excellent safety scores.